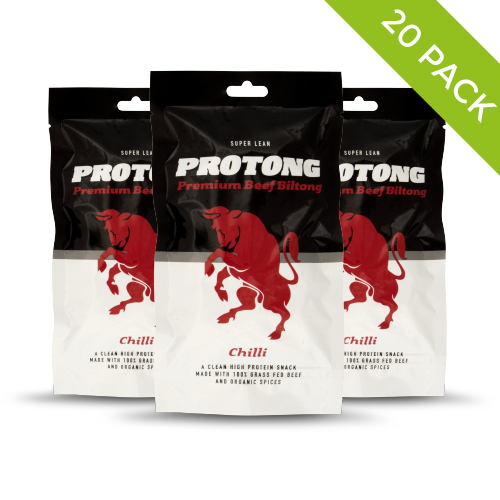 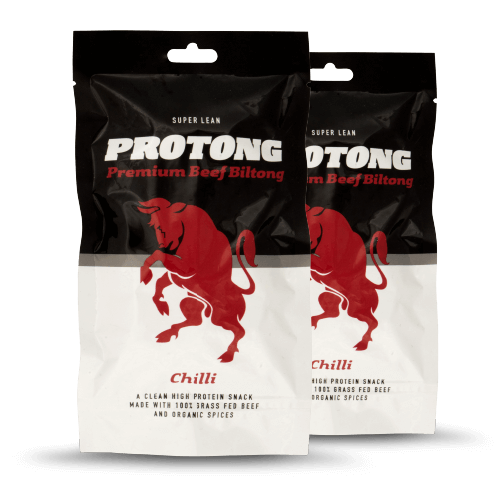 We believe that most things benefit from a hit of chilli – and that includes Biltong! 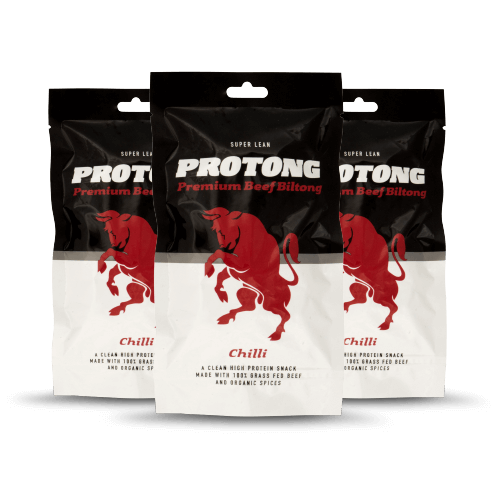 Our Premium Chilli Biltong is made with the same fantastic high-quality ingredients, but this time with an invigorating blast of heat for those who like their snacks extra spicy. Enjoy the additive-free goodness of British grass fed beef in this 100% natural product. 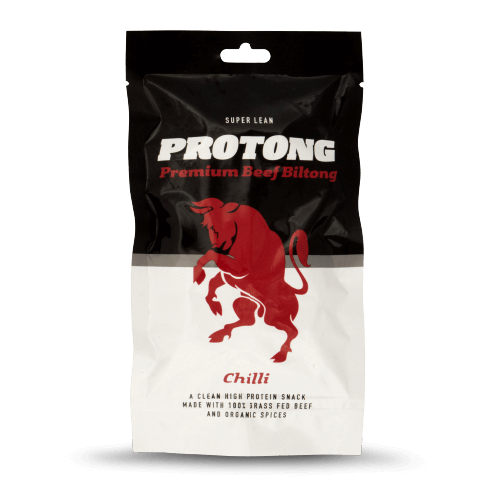 It comes with a zing – and 48% protein.